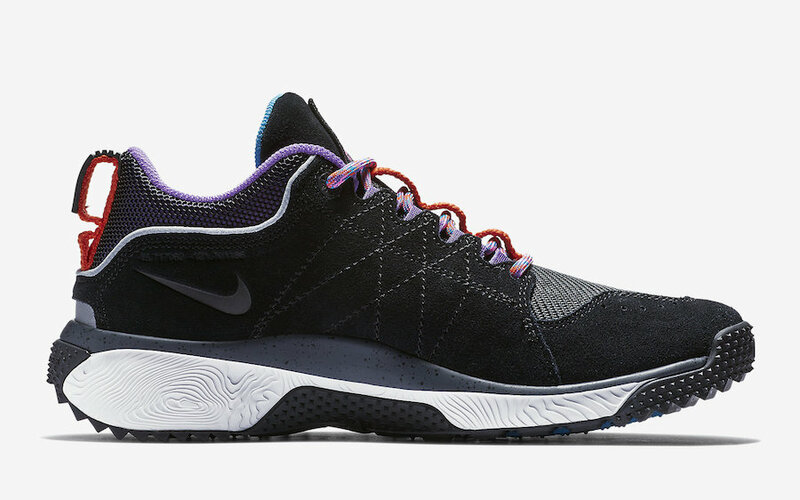 In addition to the Turquoise pair, Nike sets to release a Black iteration of the ACG Dog Mountain. 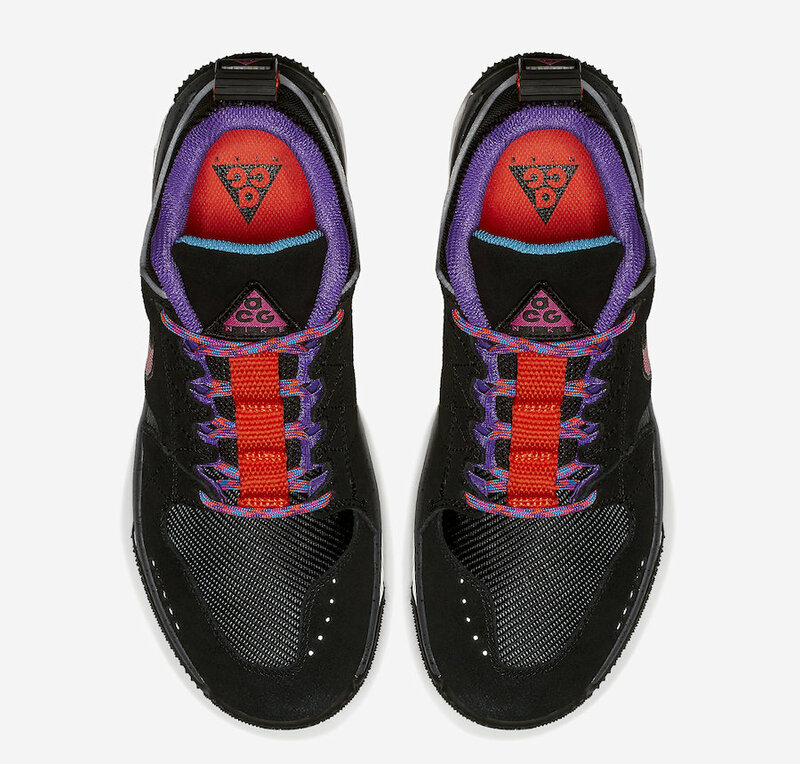 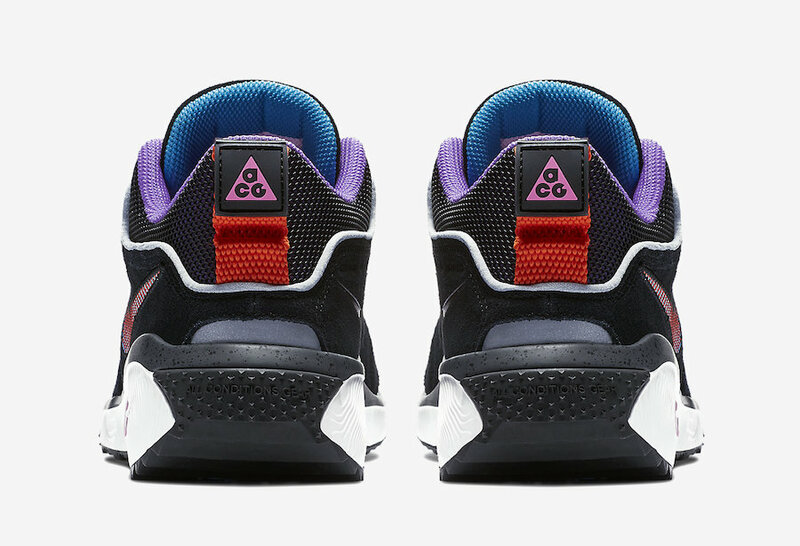 Constructed of a suede leather, mesh and nylon upper in a Black-based upper with Purple and orange accents throughout. 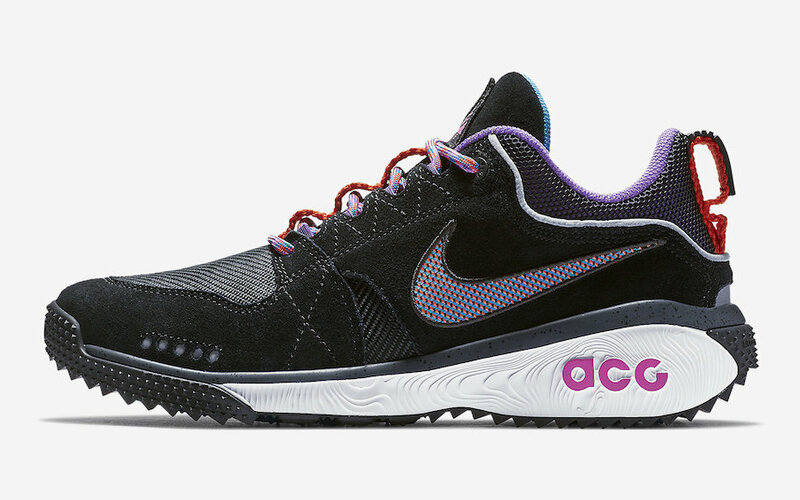 This silhouette features ACG branding throughout, multicolored rope laces all atop a rugged textured outsole for optimum trail grip. 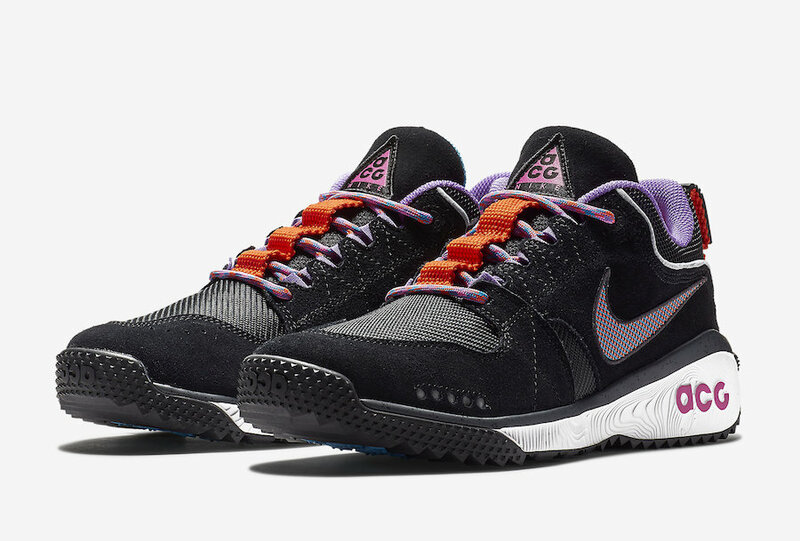 No official release date set yet for the Nike ACG Dog Mountain, but expect to see these very soon on Nike.com.